Within 50 years, the Epp family has gone from 50 cows to 1,000 on their farm outside Castro, Brazil. The farm produces a whopping 37,000L a day with an average of 12,000L/cow/lactation. It averages out at 40L/cow/day. Milking takes an eye-watering 18 hours with cows milked three times a day and each milking taking six hours. High levels of unemployment locally might not be a good thing, but for Epp, it has made it easier to find and keep 38 good members of staff. 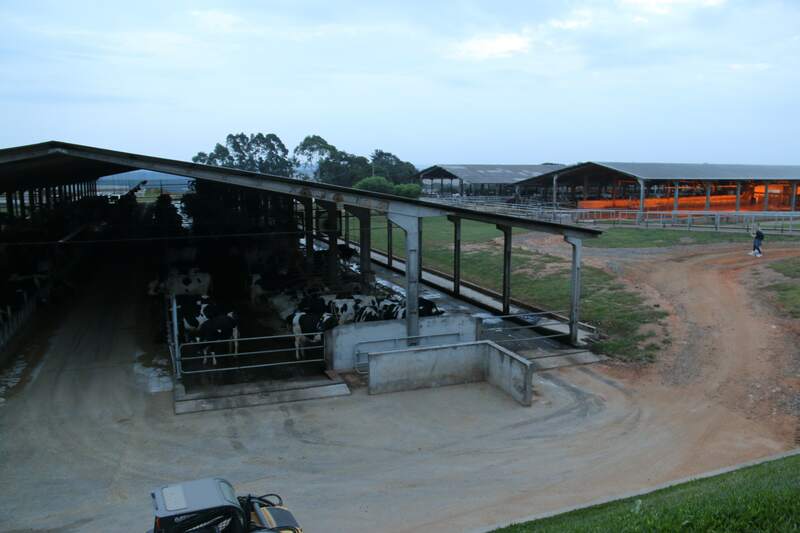 The farm runs a high input / high output system with Holstein cows, as is common in this part of Brazil. The nearby town of Castro is known as the Brazilian national capital of milk, producing more than 210,000 million litres of the white stuff a year. 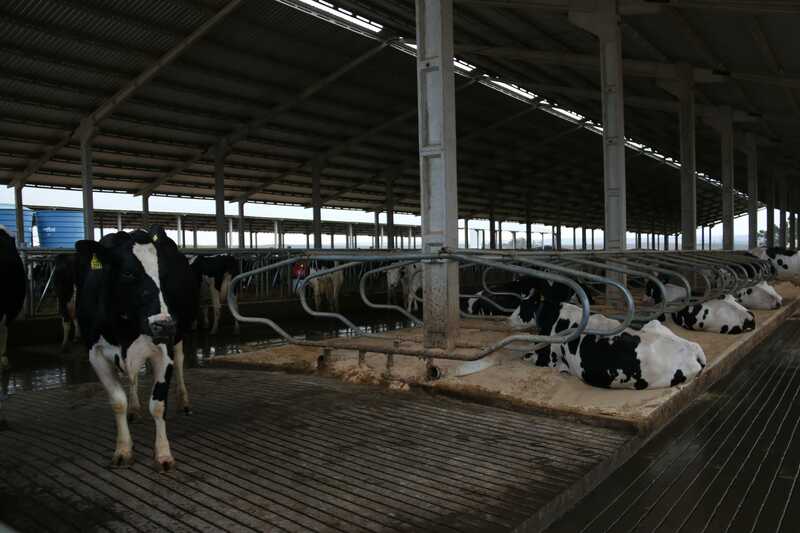 Epp is not alone in his bold expansion plans; the Top 100 Milk Point survey found 90% of the top 100 milk producers in Brazil intend to expand production in the next three years. 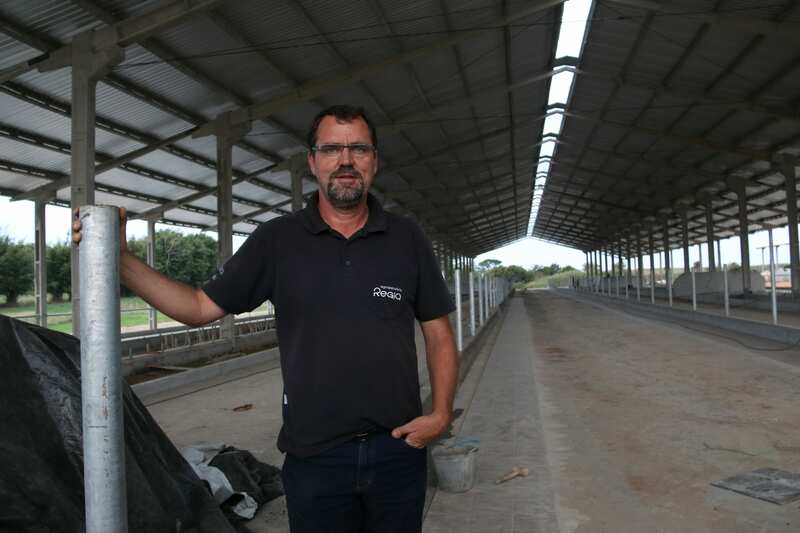 Owner Marcos Epp feels positive about the future of the industry and has just invested six million BRL (£1.26 million) in three new sheds and the very latest dung separating technology. 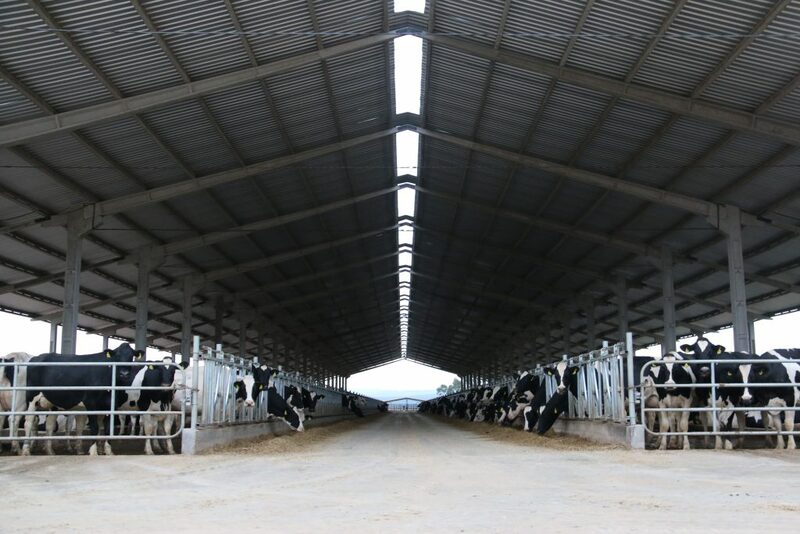 Speaking through a translator, he said: “Three years ago we thought about how we would handle 1,000 cows, and we decided to build three new sheds – the last of which we are finishing now – as well as installing a new slurry system. 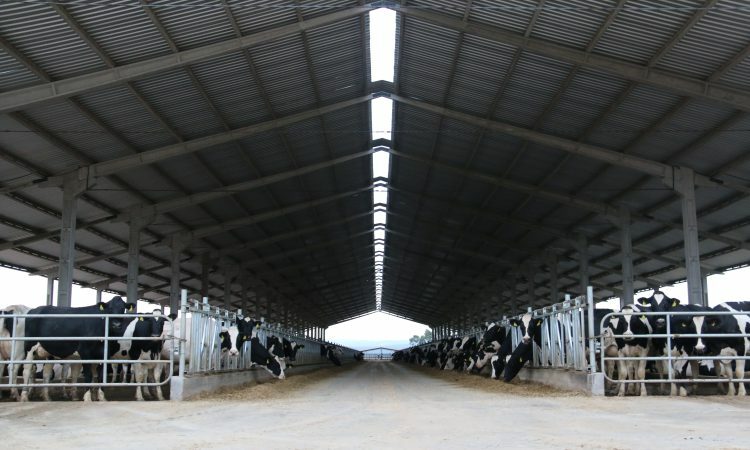 Each shed is identical, measuring 32m x 125m with space for 320 cows and a wide central passage for easy access for machinery. The project cost 6,000 BRL per cow (£1,255) – a total investment of six million BRL (£1.26 million). The cost was financed half by the bank and half by Epp’s own reserves. 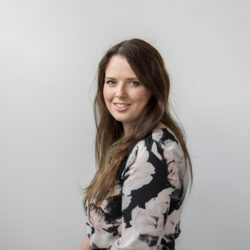 The loan will be spread over 10 years – with repayments only due to start after three years. He expects the milk price to average 1.60BRL/L over the year and estimates his cost of production to be around 1.35BRL/L. An average of three lactations per cow. 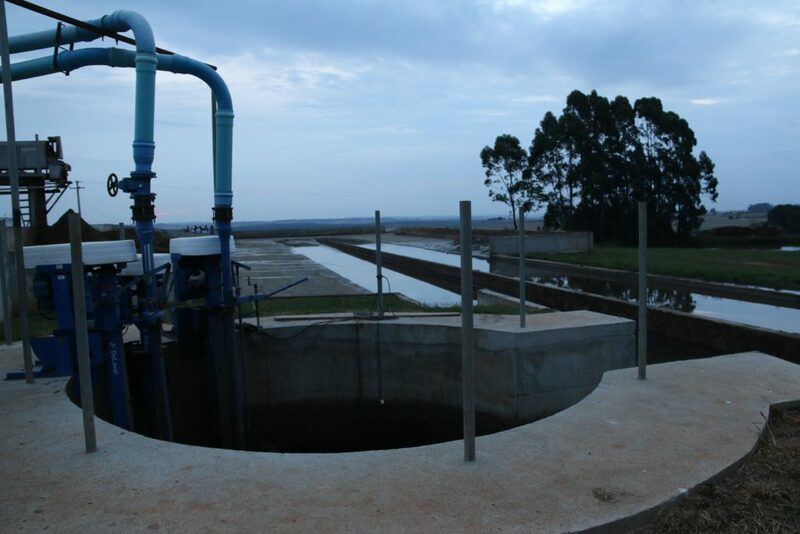 The farm spans 1,100ha with 350ha used to feed the cows and the rest sown in corn and soya. 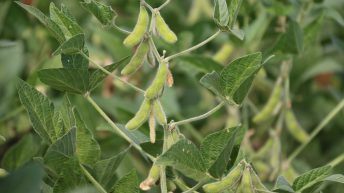 The herd’s ration includes cottonseed, corn silage, grass silage, corn, soya meal, soya hulls, and brewers grains. Epp is responsible for the dairy part of the business while his 77-year-old father runs the arable side. Aside from the sweltering 32-34°C heat in the summer and the freezing winter, making it challenging to keep cattle outside here, Epp said the decision to keep them in all-year-round was also to improve efficiency with feeding. He plans to shuffle the batches around so that the youngstock in the field will move into the older cubicle shed and the cows in the old shed will move into the new shed. The rationale is that the new shed is bedded with sand, and therefore, should be more comfortable for the milkers. 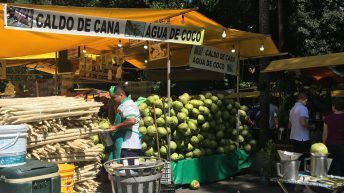 Labour is also very affordable in Brazil – the average wage is 1,500-1,700 BRL, but Epp pays 2,500 BRL and gives an additional 13th payment as well as a house, utility bills and milk and 30 days off annual leave a year. In total, he estimates that each employee costs around 4,000 BRL (£836) a month. Despite only being installed in 2014, the heavy duty 32-point DeLaval PR3100 rotary is already a little on the small side for the growing herd. 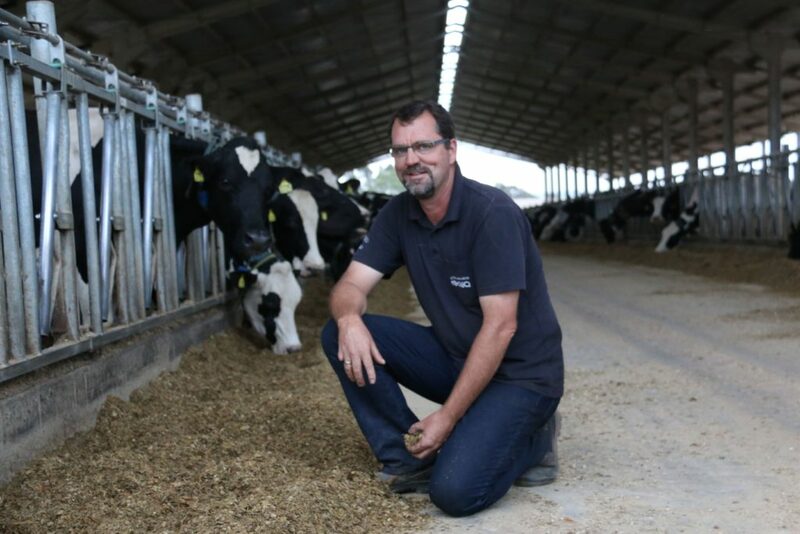 When the project was first planned four and half years ago Epp was milking 450 cows – less than half the number going through the parlour today. Epp admits that this was his own choice explaining that at the time of installation he did not intend to keep more than 900 cows. However, after he was granted access to more land, he decided he could use the extra ground to support more cows and came up with the plan to build the new sheds. Water jets are used to flush all three sheds to keep them clean. The waste is then pumped into the new slurry separator. 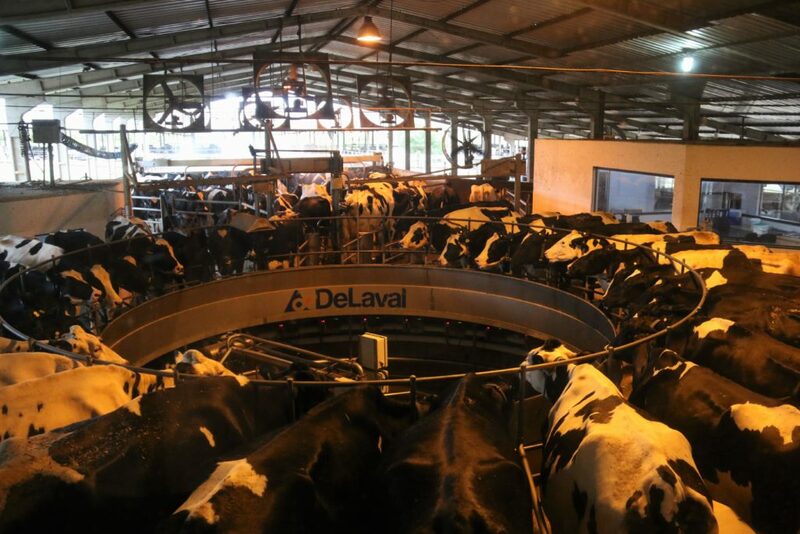 The technology, which is also designed by DeLaval, uses a flow system to deposit sand out of the water before pumping the remaining slurry through a separator. Both the liquid waste and solid waste can then be spread separately dependent on ground conditions. The sand is reused as bedding with only minimal wastage.